The Town of Bradford has succeeded in expanding the Town-owned Wrightâ€™s Mountain properties by purchasing and conserving an additional 64 acres of abutting forest land. The project was supported by the Bradford Conservation Commission (BCC), and by the Vermont Housing and Conservation Board (VHCB). The added acreage has been incorporated into a conservation easement by the Upper Valley Land Trust (UVLT) that also includes three contiguous parcels already owned by the Town. Now, including private land, the total area protected from development on Wrightâ€™s Mountain adds up to more than 800 acres. Over the past sixteen years, through the perseverance of Bradfordâ€™s Conservation Commission, and particularly through the tenacity of the Commissionâ€™s chair, Nancy Jones, the conservation area on Wrightâ€™s Mountain has grown and developed into a recreation area that tourists and local residents enjoy. â€œSupporters of the Bradford Conservation Fund deserve a tremendous amount of credit for making this possible,â€ says Jones. 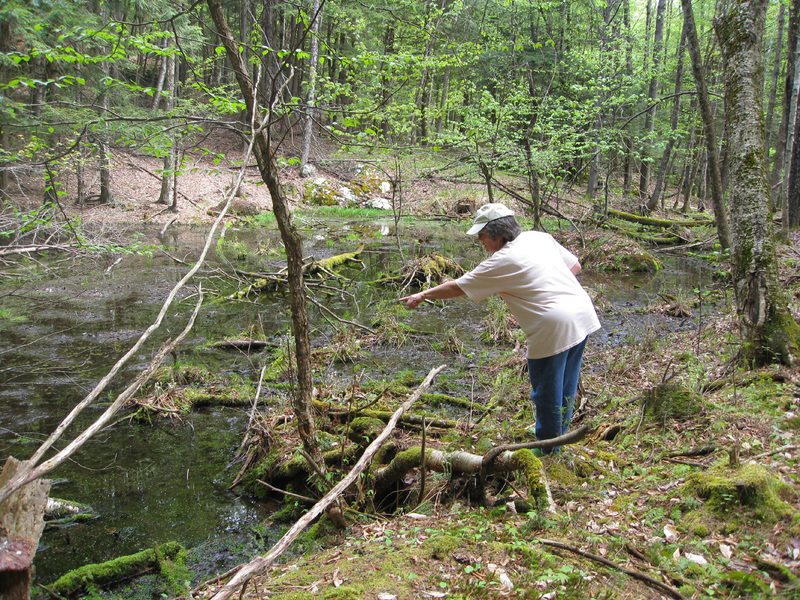 Above: Bradford Conservation Commission Chair, Nancy Jones points to a vernal pool on Wrightâ€™s Mountain. In addition to its educational values, the land on Wrightâ€™s Mountain makes significant contributions to the Townâ€™s economy, gives residents of all ages a connection to the Townâ€™s history, and expands opportunities for outdoor recreation. Both UVLT and the BCC have invested many hours creating and maintaining the trail system on the previously conserved Town property, and will continue their efforts in the additional acreage. The road frontage of the newly conserved area offers the possibility of additional trails and a new point of entry from the road. Also key to the successful completion of this project was support from VHCB, the state agency which provides funding for conservation and affordable housing projects. 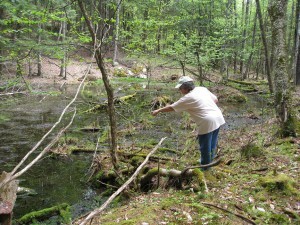 The agency supports conservation projects of agricultural, recreational and natural importance in Vermont. â€œWithout VHCB funds this [conservation project] would not have been possible and Bradford would not have this wonderful resource,â€ according to Nancy Jones. 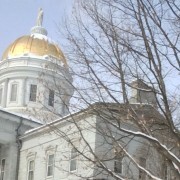 Recipients of VHCB grants â€“ the Vermont Housing and Conservation Coalition â€“ come together annually for a Legislative Day at the Vermont State House in Montpelier. It is a time when recipients of these funds speak up in favor of continued support for the program. This yearâ€™s event will occur on Wednesday, February 16. A group of Upper Valley VHCB supporters will be leaving from UVLTâ€™s office on Buck Road in Hanover. Contact UVLTâ€™s Programs Coordinator Nora Doyle-Burr for more information, noradoyle-burr@uvlt.org or (603) 643-6626 ext. 102.